Pay your Chariton Review invoice here. 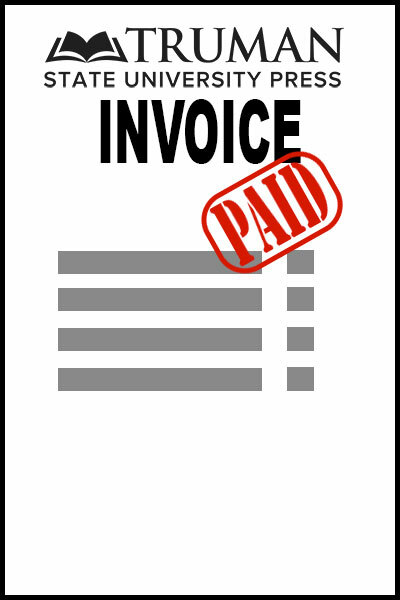 Truman State University Press payments should use the Truman State University Press Invoice. "The Beginner’s Cow: Memories of a Volga German from Kansas" by Loren Schmidtberger— At the age of seven, Loren Schmidtberger was assigned to a beginner’s cow—the gentlest cow in the herd and the easiest for a child just beginning to milk. As he learned to milk with the help of the cow, he also learned the art of living from the unforgiving reality of the Dust Bowl years tempered by the steadfast resilience of his Volga German community. "Not all readers become leaders. But all leaders must be readers."